If you work for a governmental agency, chances are good that you will have access to a 457 plan. The 457 plan allows government workers to put aside money on a tax-deferred basis, allowing that money to grow and accumulate over time. When those workers retire, they can use the money accumulated in their 457 plans to supplement any additional sources of income they may have, such as money from an annuity, pension or Social Security. Check your latest 457 plan statement to see how much money you have accumulated. Keep in mind that the current amount could be more or less, depending on how well the underlying investments have done since the statement was issued. 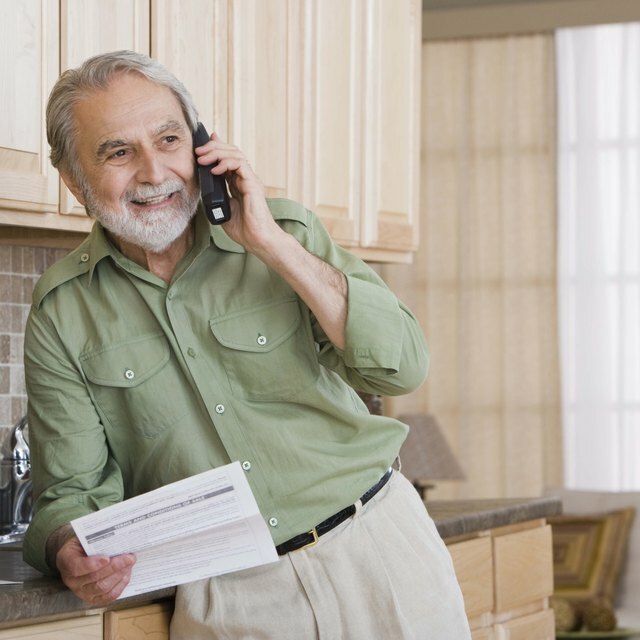 Contact the administrator of the 457 plan well in advance of your planned retirement date. This will give you plenty of time to plan and explore your options. Discuss your options with the plan administrator and carefully consider which option will be best for you. You can choose to take the money as a lump sum, take payments in the form of an annuity or roll the money into a new or existing IRA account. Review the performance of your IRA account if you have one established. Compare the performance of the IRA account to the performance of your 457 plan. If the IRA has performed better than the 457 over time, that could be a reason to roll the money over into a self-directed IRA. Rolling the money into an IRA allows you to retain the tax break of the 457, while giving you more control over the investments you choose. What Can You Do With a 401(k) From a Previous Employer? Check the tax consequences of taking the money as a lump sum. Since the money coming out of the 457 plan is treated as ordinary income, taking the funds as a lump sum could put you in a higher tax bracket than you normally enjoy. If you are considering a lump sum payout from your 457, be sure to consult your tax preparer or accountant first. Ask the plan administrator about the payments you would receive if you took your 457 money as an annuity. With an annuity, you can be sure that you will not run out of money, since you can structure the plan so that the payments are guaranteed for life. One problem, however, is that inflation will make those monthly payments less valuable over time. Another issue is that you will not be able to pass the money in your 457 plan on to your heirs. It is important to consider the pros and cons of each approach when pulling money from your 457 plan in retirement.